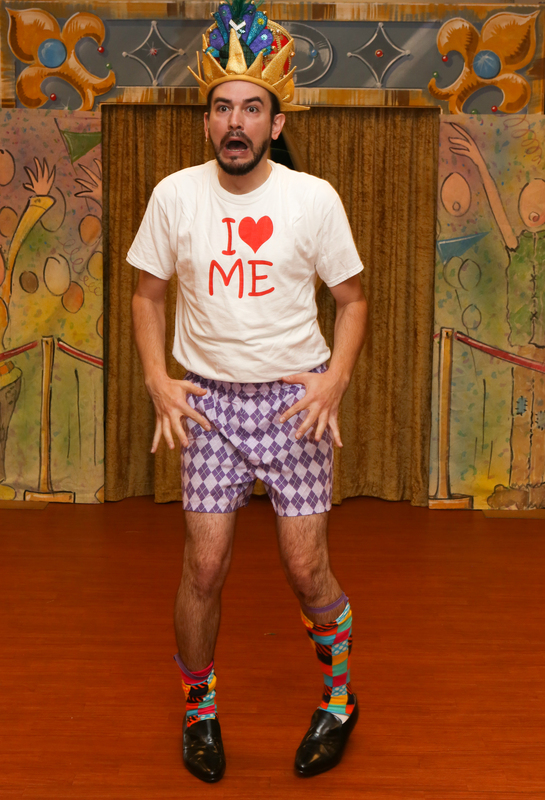 There are so many exciting live performances geared towards kids this Fall and Winter in St. Louis. Here are a few shows not to miss! Note: Performances at the Florissant Civic Center are nationally touring productions, feature excellent artists, and are top rate experiences! Don’t be misled by the inexpensive ticket prices. Call 314.725.6555 or purchase online. Run time: Approximately one hour. Fall down the rabbit hole with this original dance production, created and choreographed by Anthony “Redd” Williams, that puts a hip-hop spin on Lewis Carroll’s “Alice in Wonderland.” Experience the classic upside-down fantasy world through a whole new lens with dazzling costumes and cutting-edge choreography, led by the larger-than-life Mad Hatter and many more lovable, whimsical characters. Call 314.921.5678 or purchase online. “Caps! Caps for sale! Fifty cents a cap!” The cap peddler wears a huge stack of caps, balanced carefully on top of his head. Brown caps, blue caps, gray caps, and red caps. When no one buys a cap, he takes a nap under a shady tree. But, when he wakes up, the caps are gone! Was it bears, pirates, one thousand thieves, or a band of merry mischievous monkeys? Read more about the production. Call 314.534.1111 or purchase online. Run time: Approximately 2 hours and 30 minutes. Call 314.534.1700 or purchase online. 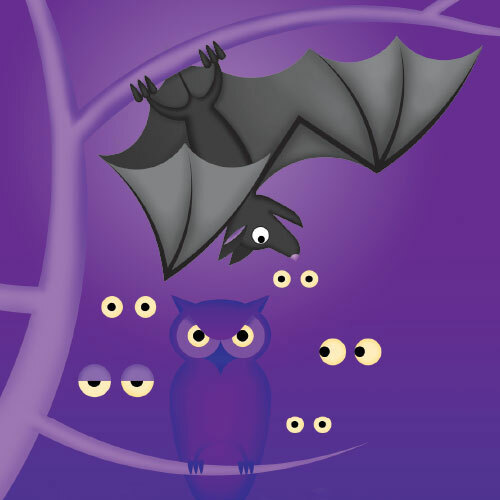 Celebrate Halloween with a spooktacular concert along with help from special guest, Luna the Bat. Luna will take you on a musical tour of all the wickedly wonderful animals that relish the night. Featuring Night on Bald Mountain from Fantasia and John Williams’ Hedwig’s Theme from the popular Harry Potter films. Presented in partnership with the Saint Louis Zoo. Celebrate Halloween in Grand Center! CAM partners with the Pulitzer Arts Foundation and the Sheldon Art Galleries for a special Family Day Block Party. Costumes encouraged. At the Pulitzer, discover the hidden histories of Kota reliquary guardian figures, produced in Central Africa between the 17th and 20th centuries, and play an interactive digital game in the Pulitzer’s exhibition Kota: Digital Excavations in African Art. 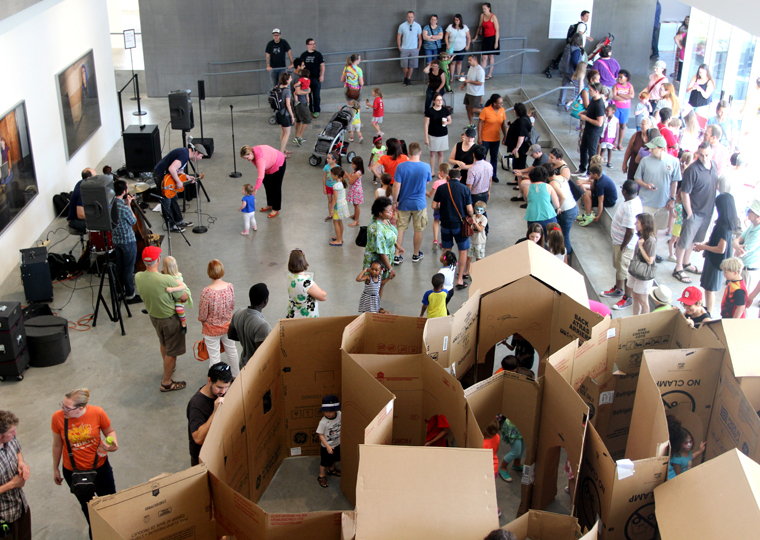 At CAM, enjoy face painting and help create a “Haunted Garden” mural made out of cardboard with artist Daniel Raedeke. STL Improv Anywhere will lead a performance, and the New Art in the Neighborhood high school art students will guide special art activities. At the Sheldon Art Galleries, enjoy crafts from 10:00 am to noon and a performance by acoustic group Uncle Albert at 11:30 am. Epic story, pocket-sized proportions—seven actors share one tiny platform (just 3-by-7 feet of space!) and upon it an original Superman tale unfolds. Set in a fictional 2050 Metropolis with a remarkable resemblance to Chicago, this Theater Unspeakable production highlights imaginative, resourceful cast members who use only their bodies and voices to create every prop, scene, sound effect, and character in a battle between Superman and Lex Luthor. 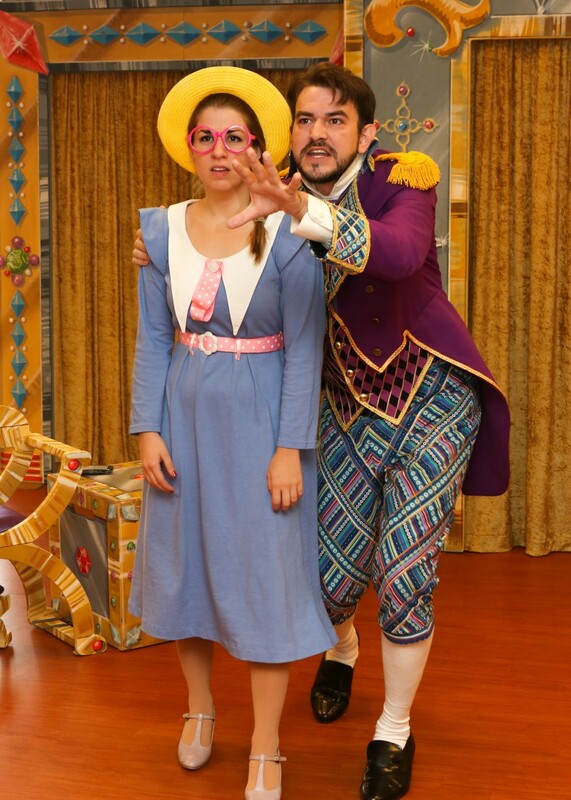 A new musical revue based on favorite children’s books. Book titles subject to change: Fly Guy Meets Fly Girl by Tedd Arnold, Diary of a Worm by Doreen Cronin, Fluffy the Classroom Guinea Pig by Kate McMullan, Horace & Morris But Mostly Dolores by James Howe, Kitten’s First Full Moon by Kevin Henkes, Lilly’s Big Day by Kevin Henkes and Paper Bag Princess by Robert Munsch. 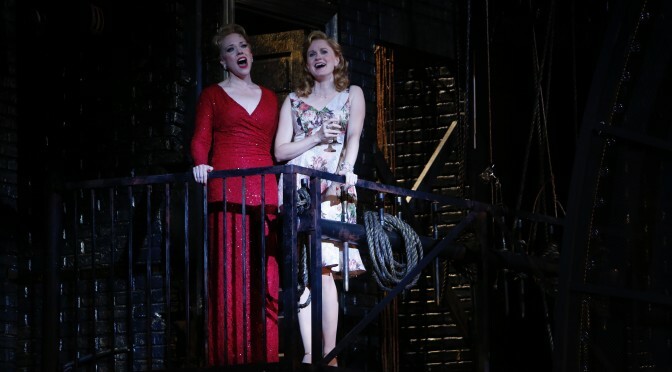 Read more about the production on Theatreworks USA’s site. Run time: Approximately 50 minutes. When a kindly shoemaker gives his only remaining pair of shoes to a cold and hungry beggar woman, he finds his good deed rewarded in unexpected ways. The shoemaker is shocked by the appearance of magic elves who turn his simple shoe shop into a great success, thrilling customers with their special creations. Based on the tale by the Brothers Grimm, this beloved, warm-hearted story is perfect for the holiday season, reminding us that where we find kindness, generosity and hope, anything is possible. Savor the tale of a determined young rat with a cultivated palate who gets an unlikely chance to do what he dreams of most—cook in a French restaurant in Paris. In a hilarious chain of events that turns the City of Lights upside down, he achieves his dream with his good pal Linguini. 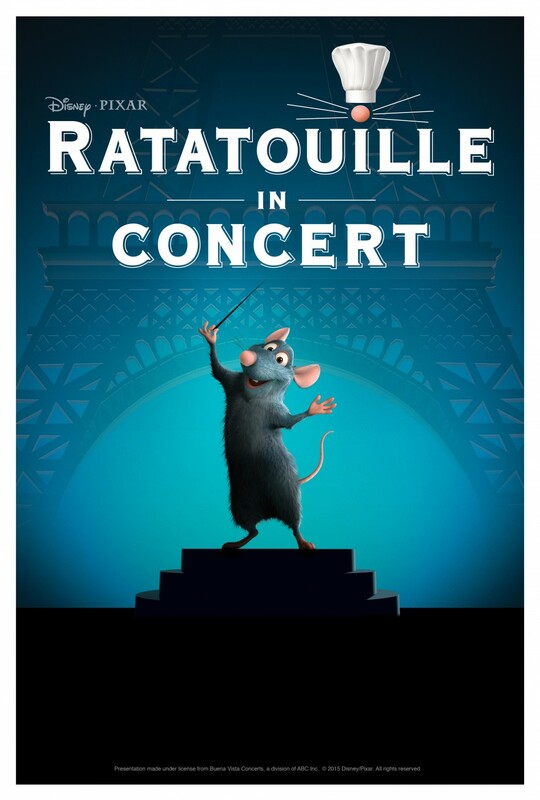 Bring the whole family to experience the Academy Award-winning film Ratatouille on the big screen while the beloved score by composer Michael Giacchino is performed live by the St. Louis Symphony. Learn more about the production. 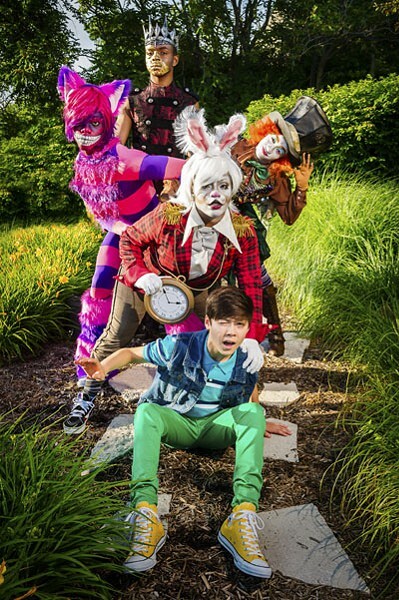 Theatreworks’ production of Charlotte’s Web is based on E.B. White’s loving story of the friendship between a pig named Wilbur and a little gray spider named Charlotte. Wilbur has a problem: how to avoid winding up as pork chops! Charlotte, a fine writer and true friend, hits on a plan to fool Farmer Zuckerman–she will create a “miracle.” Spinning the words “Some Pig” in her web, Charlotte weaves a solution which not only makes Wilbur a prize pig, but ensures his place on the farm forever. This treasured tale, featuring mad-cap and endearing farm animals, explores bravery, selfless love, and the true meaning of friendship. 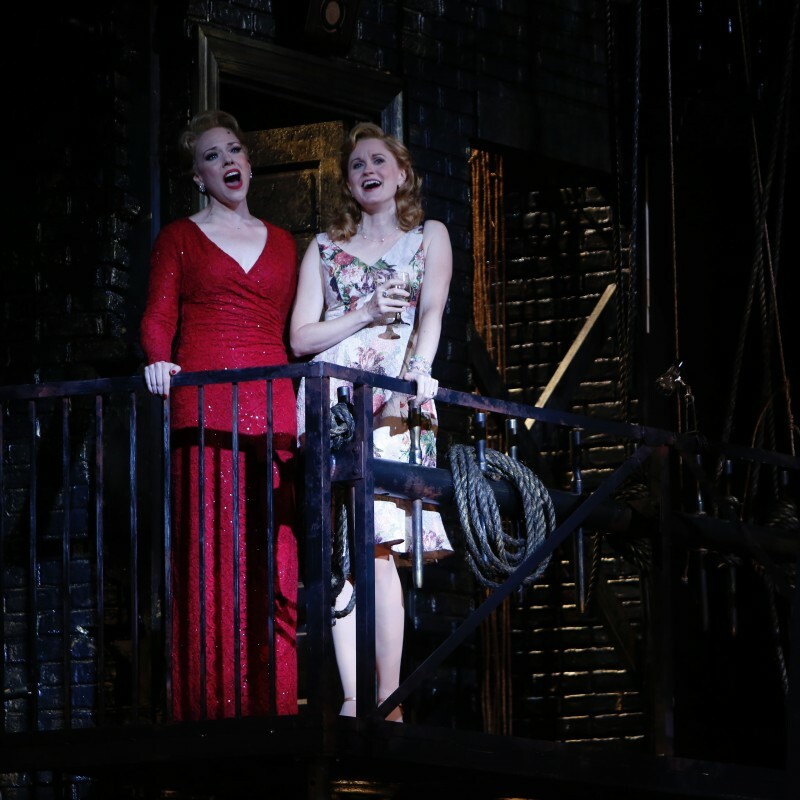 Read more about the production on Theatreworks USA’s site. Call 314.516.4949 or purchase online. The irrepressible Moses Pendleton presents Alchemia, his new work for the dazzling dancer-illusionists of MOMIX. Just as he led audiences on a surreal journey through the four seasons in Botanica, Pendleton manipulates the four classic elements–earth, air, fire, and water–in Alchemia to produce a show about the art of alchemy, and the alchemy of art. A multimedia spectacle, Alchemia bursts with beauty, daredevil thrills and playful humor. It’s MOMIX at its most magical. 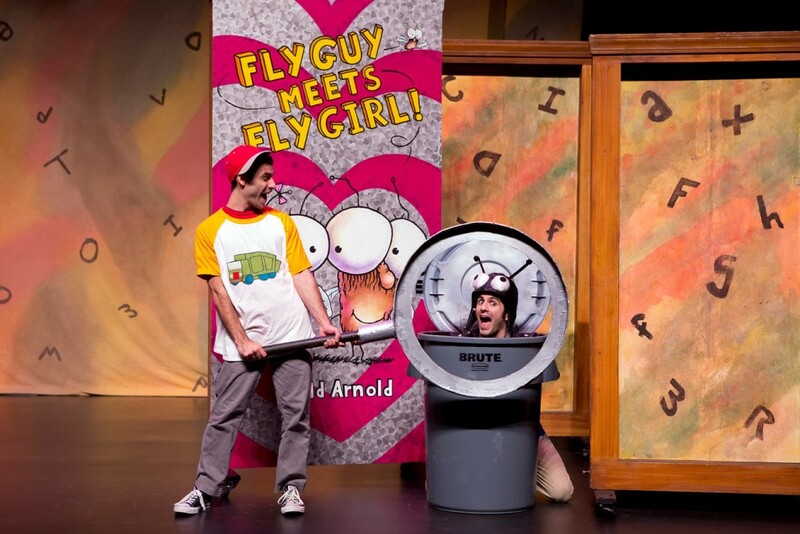 “Oh, the thinks you can think” when Dr. Seuss’s best-loved stories collide and cavort in an unforgettable musical caper! 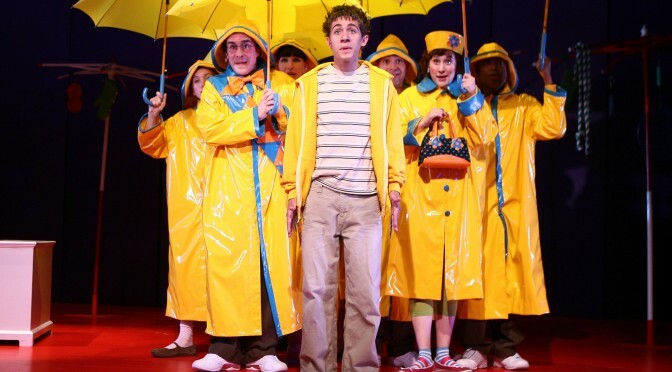 Adapted from the Broadway version, this adaptation especially for young audiences features thirteen actors and enhanced production values. 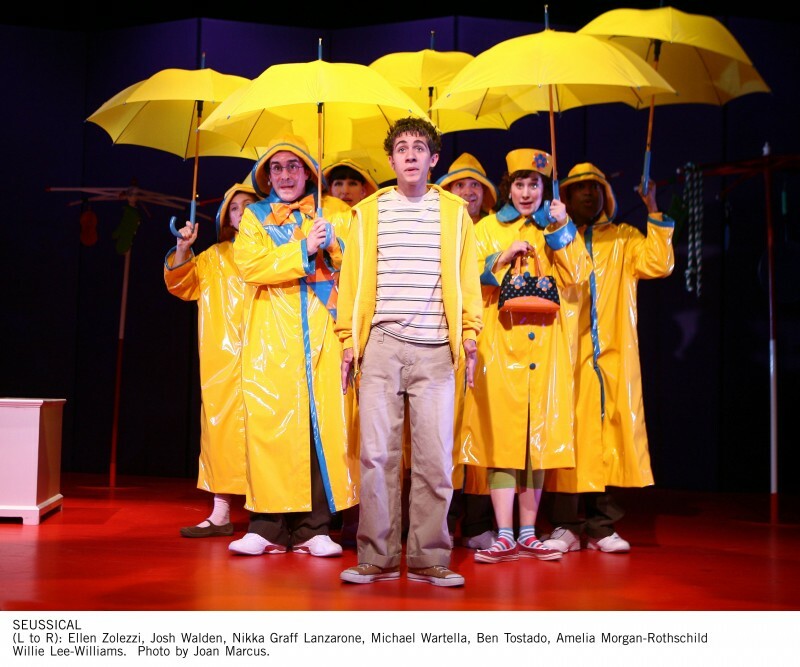 Seussical is TheatreworksUSA’s biggest show ever. On that small speck of dust lives JoJo, an imaginative young Who. JoJo has astounding “thinks,” in which anything’s possible, but his parents believe this creativity is inappropriate for the son of the Mayor of Who-Ville. Meanwhile, the one-feathered bird, Miss Gertrude McFuzz, desperately wants Horton to notice her. Maybe, she thinks, she just needs a more impressive tail. At the same time, the amazingly lazy Maysie La Bird connives, cajoles and convinces Horton to sit on her egg while she goes off on a spree. Will the planet of Who survive? Will Horton pay attention to Gertrude? Will Maysie ever return for her egg? Dr. Seuss’s beloved classic characters find themselves intertwined in an incredible crazy-quilt adventure, in which the power of imagination and the most miraculous “think” ever save the day! Read more about Seussical the Musical. 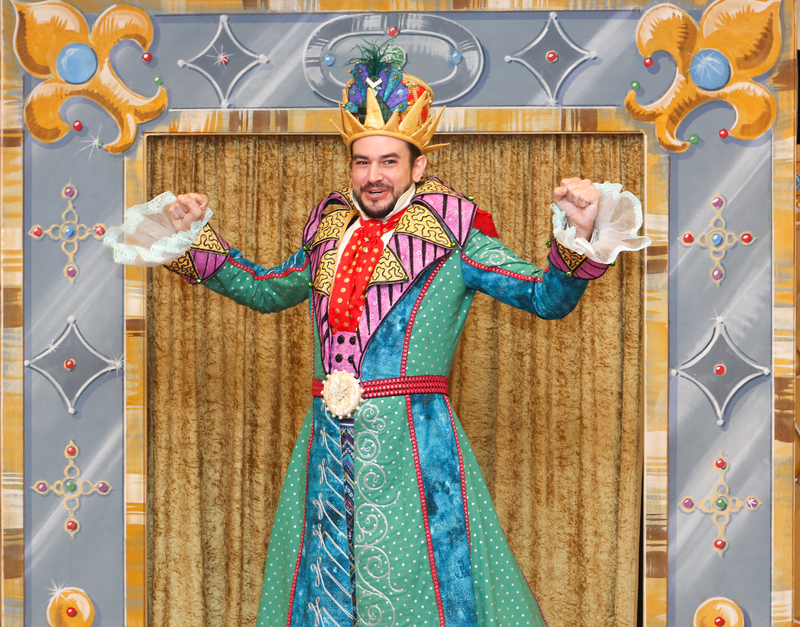 Featuring: Jason Contini as Emperor. © Photo by Jill Lindbergh. 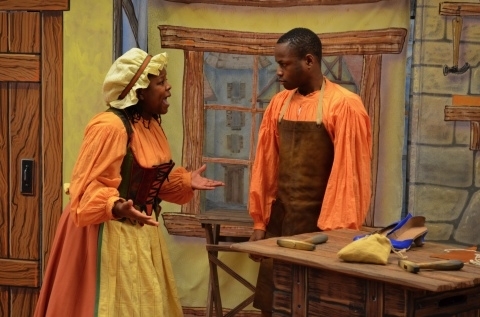 Ready Readers presents “Winter Story Fest” with The Rep’s Imaginary Theatre Company and Whole Foods Market in Brentwood on Sunday, February 8, 2015, Clayton High School, 1 Mark Twain Circle. The fun begins at 2 pm with children’s activities led by top area family friendly organizations including The Magic House and Mad Science, face painters, magicians, clowns, a silent auction, and much more. At 3:30 pm, guests are entertained by The Rep’s Imaginary Theatre Company’s production of The Emperor’s New Clothes in Clayton High School’s beautiful auditorium. Approximate run time of The Emperor’s New Clothes is 45 minutes. The event is recommended for ages 3 to 10. Tickets are $15 per person in advance or $18 per person at the door. You can reserve your tickets online or by calling 314.564.8070. For group reservations, contact Lisa Greening at lisa@readyreaders.org. Proceeds from Winter Story Fest benefit Ready Readers and its mission of inspiring preschool-age children from low-income communities to become readers by reading aloud to them, increasing their exposure to quality books, and providing literacy-related experiences. The entire Ready Readers event is 2 to 4:30 pm, including announcements and acknowledgments prior to the theater performance. Depending on how old your children are (and how they are feeling on that particular day! ), you may want to adjust your arrival time so that your experience is a relaxing and fun one. Be sure to allow yourself a few moments to bid high on the great silent auction items. Can’t make the event? Consider a tax-deductible contribution to Ready Readers. One of Hans Christian Andersen’s tales gets a quirky new look in this silly satire about a vain man and his clever wife. Determined to teach her husband a lesson in humility, the queen and her loyal handmaiden pose as two weavers who make the most beautiful garments in the world. There’s just one catch—only the most intelligent people can see these clothes. Will the Emperor admit he’s had the wool pulled over his eyes or embarrass himself in front of the entire kingdom? Ready Readers is a St. Louis-based nonprofit organization dedicated to inspiring preschool age children from low-income communities to love books and to have the emergent literacy skills necessary to become readers when they enter kindergarten. Trained, passionate volunteers read high-quality books aloud to the same classroom of children for 30 minutes every week, and then provide stimulating reading-related activities. Six times during each school year and once during the summer, the volunteer readers also distribute new books for each child to take home and keep. 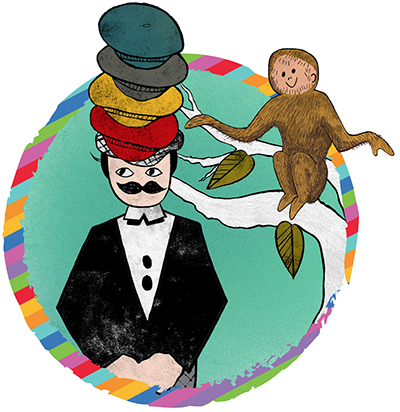 Event Sponsors of the Winter Story Fest include: First Bank, The Rep’s Imaginary Theatre Company, Whole Foods Market in Brentwood, The Magic House, Circus Kaput, the St. Louis Science Center, Mad Science, KC Creative Inc., Bricks 4 Kidz, and The Puppet Guild of Greater Saint Louis.